The "Orient" is a term traditionally used in Europe to describe anything east of Europe, and especially the "far east" such as China, Japan, and other Southeast Asian countries. Oriental rugs were traditionally hand-knotted rugs that were made in countries East of Europe. Naturally, like any phrase, the term "oriental rug" has evolved. 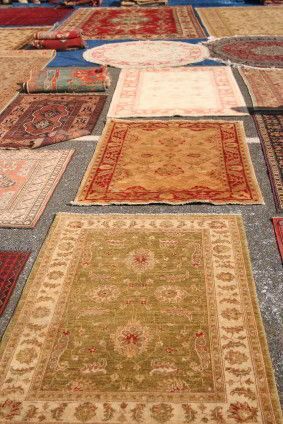 Today, we also refer to hand-knotted rugs originating from areas other than the Orient (i.e., North Africa) as oriental rugs. A true oriental rug will be hand-made from natural fibers. This is different from an "oriental design rug". An "oriental design rug" will refer to a rug that is either machine loomed or made from synthetic fibers. Pelletier Rug offers both genuine oriental rugs and oriental design rugs. Because oriental rugs are made by hand, they are a painstaking investment of time for a weaver. It can take a single weaver a year to complete a fine quality 9' x 12' sized oriental rug. Although this size is normally completed by two or three weavers in four to six months. 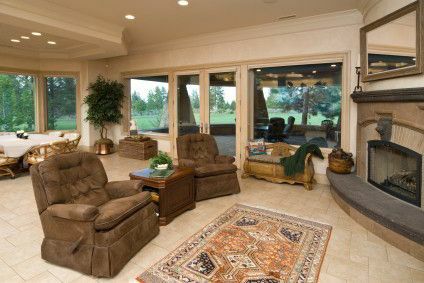 While some people may think oriental rugs are expensive, we believe they are a tremendous bargain. When you consider the man-hours invested in their creation, and the exquisite beauty and joy they can bring, oriental rugs are indeed inexpensive. 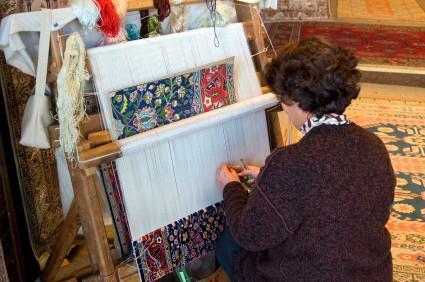 A Turkish woman weaving an oriental rug. The pattern she is following is on top. Many oriental rugs are one-of-a-kind treasures. They are floor art, to be enjoyed for their individual beauty. Unlike machine made rugs, oriental rugs are not perfect. They may have slight variances in pattern. But that's why we love them. It is far better to enjoy its unique beauty. Come visit today. Our selection changes continuously. . .
An oriental rug is all that's needed to make this room cozy.